Self-preservation is one powerful motivator. Shortly after being given a death sentence by a doctor, Ron Woodroof sits in his church and prays. His confidant? A scantily clad young woman prancing about before him on a liquor stained bar. Some churches don’t feature steeples and pews. 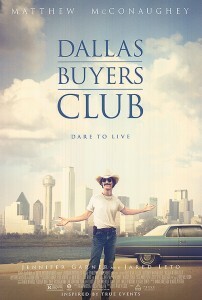 Based on real events, “Dallas Buyers Club” tells the story of Ron Woodroof, a Texas electrician and part-time bull rider, who is diagnosed with HIV in 1985. But how could this be? After all, he’s a rootin’-tootin’ Texas stud and has never engaged in homosexual relations. But Ron’s no dummy and he really enjoys being alive. So when a doctor tells him he only has 30 days to live, he is determined to prove that doctor wrong. 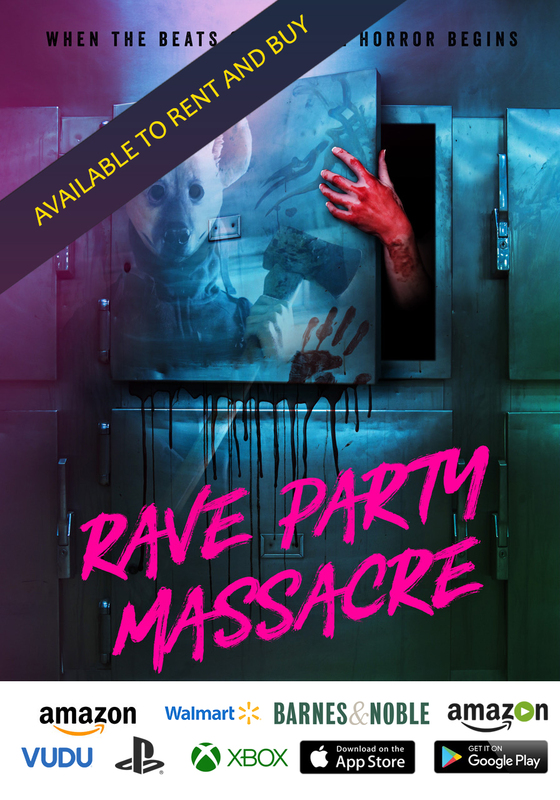 After learning that the only drug on the market approved to treat HIV is not doing its job, Ron explores other options and ends up smuggling drugs in from all over the world to treat not only himself but others. Motivated originally by self-preservation, a homophobic cowboy becomes a champion for people of all sexual orientations. It is a story that you just couldn’t make up. Hopefully, the discussions fostered by “Dallas Buyers Club” will be focused less on star Matthew McConaughey’s amazing transformation into the pencil-thin Woodroof and more on the film’s strong message of tolerance and perseverance. Sure, McConaughey is flat out terrific in the lead, but through his performance and the attention it will receive, viewers may ask themselves questions about this dark chapter in our near past. “Dallas Buyers Club” shares a lot with “12 Years a Slave” in that it shines a bright light on past events that many of us have tried to forget. Even though there are many graphic images contained within “Dallas Buyers Club,” I wondered whether I needed to share it with my children. Sometimes a documentary is just not as effective a communicator as the power of a narrative film. As a documentary filmmaker, I recognize that the emotional connection achieved in narrative filmmaking sometimes just cannot be duplicated in the documentary form. And the power of the narrative versus that of the documentary can be abused. And to be fair, “Dallas Buyers Club” does seem to make some manipulative choices. However, any liberties taken with past events seem to have been responsibly handled so that the message is conveyed without tarnishing memories. This is a little off topic, but Sarah Polley’s very interesting and highly recommended documentary “Stories We Tell” blurs the lines in an innovative way. And this year, we have several documentaries that deal with the past and present AIDS crisis. One film that has been sent to me is called “Blood Brother.” Another documentary that is currently in release is called “How to Survive a Plague.” I look forward to watching these films and learning more about events that I thought I was familiar with. This past can be revisited but not repeated. Most viewers will be curious about McConaughey’s transformation. He clearly is devoted to inhabiting the Woodroof character like few actors could. Shedding many pounds, McConaughey is almost unrecognizable here, and after a few minutes of adjustment, he is the character completely. That is not to say that you won’t snap out of it at times and look to your partner and whisper something like “I can’t believe that’s Matthew McConaughey!” Still, it is not as distracting as one would think. The performance is so very strong that it is worthy of Oscar consideration. To a lesser extent, rocker Jared Leto gives a strong supporting performance as the transsexual Rayon. Without Rayon’s assistance, Woodroof would not have been able to help as many people as he did. Having trouble communicating with members of the homosexual community plagues Woodroof’s efforts. It isn’t until he is befriended by a transsexual that tolerance begins to flow both ways. By casting Leto in the role, you are treated to a second striking transformation also worthy of awards consideration. Leto has been giving us great performances for years. One memorable turn is in a little film called “Lonely Hearts” that is worth checking out. 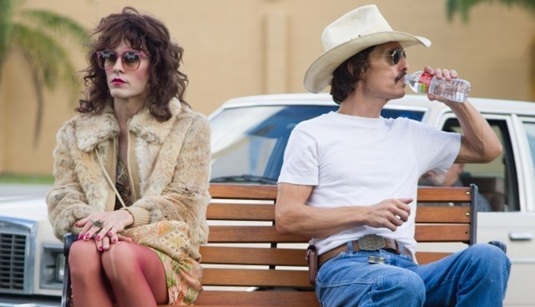 But “Dallas Buyers Club” is more than just a film resting on gimmickry. It is really a solid narrative and one that connected intimately with me. Hopefully, it will have a similar impact on others.